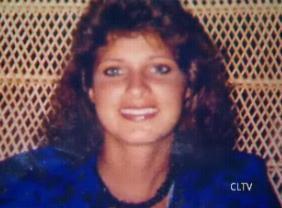 UNSOLVED MYSTERIES - MURDERED, SUICIDE OR MISSING ? 1986 - Drew Peterson's ex-girlfriend's brother suspicious suicide ?? "shari" posting on GretaWire blog shows Steve's last name spelled as "Ray" and that he died January 1st, 2nd or 3rd of 1986. She also indicates he was found in his bedroom not the garage. 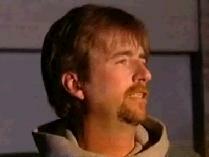 Both "Larry" and Ric Mims indicate that Drew Peterson was the first cop on the scene. News article above from CBS2chicago indicates Drew Peterson was fired from Bolingbrook Police Department in 1985 and wasn't reinstatement with the department until March 1986. If this is true then Peterson wasn't even employed with the department the beginning of January 1986 when this Steve Ray/Rhea was reported found hanging in his bedroom so it is interesting how Peterson could have been the first officer on the scene as he told Ric Mims he was.
. If you're upset about your sister's relationship, do you commit suicide instead? Drew Peterson apparently had a girfriend name Monica while he was married to 2nd wife, Victoria Rutkiewicz (They were married from 1982 and divorced 02/18/1992). Apparently, according to Drew Peterson's former best friend, Ric Mims, Monica's brother Steve was very upset about this relationship yet he committed suicide hanging himself in a garage, some felt was suspicious. MIMS: This thing we're trying to put all the dates and everything together, this afternoon, it happened right when Drew was married to Vicki and he would sneak Monica in the house. GRETA: Whose Monica? Monica was the girlfriend? MIMS: Yeah and right and her brother, the family lived like across the street and down the street from them. I knew the brother was very upset with them dating and I, were going back now when I was in my twenties maybe, not even that old when all this happened but with the patterns of Drew, anything with his girls that he was dating with or anything it seems that somebody dies around there. GRETA: Let me ask you though, there's no proof that Drew did anything with the brother who died, the brother of the girlfriend? MIMS: Right, there's no proof yet but were working on a story to find out the details on it. It's just a little suspicious. GRETA: Okay the guy who committed suicide, was it a big surprise or had he been, had he been depressed and had troubles before that? MIMS: No, it was a shock to all of us, this was a group of kids I grew up with and it was a shock to all of us. MIMS: I don't know all the details of that, I mean we were kids back then Greta, so I've asked a friend of mine who does some research at the local papers to help me with this and we're getting names and we've contacted the girlfriend. She didn't want to talk to nobody but I'm going to get in touch with her here shortly maybe she'll talk to me about it because we were all fiends and just see, because what I'm afraid is this turning into a pattern for him. GRETA: Did he ever say anything about his girlfriend's brother, the one whose about your age, with you? MIMS: Yeah we've talked about it because I can't believe he killed himself and he's like yeah he had a drug problem and you know and was depressed, and I was like that's not the Steve we knew. He said I don't know, I was one of the cops first on the scene and he was hanging in the garage. GRETA: He was one of the first cops on the scene? "I was steve rays best friend. he picked me up from school everyday. rick mims did not hang out with us.He knows nothing about steve. drew would come to steves garage all the time in the evening. he came to hassle us,flirt with us girl,and try to get us to smoke pot with him. I was with steve the night he died. when i left him at four in the morning he was ok.Iwas the closesest person to steve.I know he asked his grandmother for asprin around five.I loved steve with all my heart. It kills me to think he was murdered,if he was. If he killed himself it was something he wanted. If he was murdered by that animal its a horror.Rick MIMS never hung out with us. we all thought he was an idiot ,and would never have let him around. steve died january 2nd, 3rd, or 4th of 86. RICK MIMS was more on DREW PETERSONS level. he was hanging in his bedroom by his boot stings.the room had a false ceiling,he was hanging by a pipe. I pray to GOD the truth will come out. I pray for monicas sake, and his parents, denise,joy, and danny. They will get peace from the truth. TRUST me rick mims never hung out with us. Steve left a note,and anything mims knows he never heard from steve or anyone who hung out with us. Steve and monica were great people. PLEASE GOD let the truth come out." "The man who (supposedly ) hung himself name was Steve Rhea.I was a close friend of his.He died in January of 1986.He lived on nottingham dr. in Bolingbrook…Dp supposedly lived on Mayfield (the next street over).The report I had always heard was that he hung himself in his bedroom closet which ,alway’s sounded a little odd to me.doesn’t sound like a lot of room to hang yourself.The garage sounds like a more likely scenario..He could be hung from a rafter or I-beam…I also know DP used to hang out in that garage with them.I also know that Steve did not approve of DP’s relationship with his sister Monica and, confronted him about it.A short time later…he was found dead….coincidence? Dp was also one of the first officers on the scene…..coincidence?" Cassandra Cales at findstacypeterson.com posted ISP link saying this is the boyfriend of Drew's former wife. . Is there a trail of dead bodies? "Illinois State Police, District Chicago Investigations is seeking assistance regarding the death of Jeffery W. Archer. He was last seen leaving his 1990 Plymouth Voyager, Illinois Registration TU5880 on October 10, 1994, at approximately 5:00 p.m. in the area of 6900 South Wolf Road, Indian Head Park, Illinois. His body was recovered on October 16, 1994, from the Sanitary Shipping Canal, one mile east of Routes 83 and 171 [Cook County]. Anyone with any information is urged to contact Special Agent Ray O'Brien, Illinois State Police, District Chicago Investigations at 847/294-4600, or via e-mail at obriera@isp.state.il.us to provide any additional information." "NATIONAL ENQUIRER: Ex-cop Drew Peterson is the Enquirer's new O.J. Simpson. The tabloid scooped the mainstream media numerous times during Simpson's legal travails in the '90s, and in its four pages of Stacy Peterson disappearance coverage, it reports some illuminating tidbits, including that Illinois state cops "are now taking another look" at the unsolved murder of a man dating Peterson's second wife, Victoria, after she divorced Peterson in 1992. But that's according to an unnamed "source close to the investigation." 1997 ? 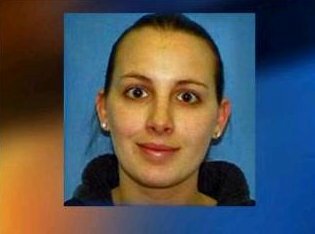 - Drew Peterson's sister-in-law missing !
. Drew Peterson's sister-in-law (Morphey's wife) disappeared ten years ago ! www.acandyrose.com . 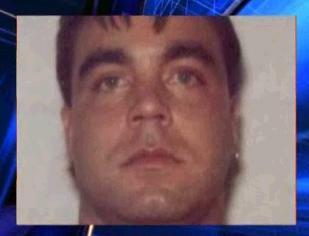 Did Christie Cales really walk out on her children or was she murdered? RIC MIMS: "The only thing I've talked to Stacy about that is about us trying to find her [Christie Cales]. We've done everything we could you know with running through different computer banks, you know different hits that show an address she might have been in or there might have been mail or like ordered cable tv through and they all came back to her social security number but when I arrived there to investigate it and help them out, the people there never heard of her, like one of the houses in Mississippi she was suppose to have been there in the early ninties and I went there and the people who live in that house have been there for forty years and never heard of her." "He wants me dead, and if he has to he will burn the house down just to shut me up"
back up a second. He actually confessed to her to having killed Kathleen Savio?" GO TO ALIBI ALLEY . Why did Drew Peterson need an alibi if Kathleen Savio's death was an accidential drowning? VAN SUSTEREN: What conclusion did you reach as to the manner of death after doing the autopsy? 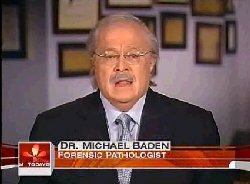 DR. MICHAEL BADEN, FORENSIC PATHOLOGIST: That was a homicide. VAN SUSTEREN: Any doubt in your mind whatsoever that it's a homicide? BADEN: "To a reasonable degree of medical certainty is the standard we usually use. It's my opinion to a reasonable degree of medical certainty that it's a homicide, and that's what I would have put down on the death certificate." NEIL SCHORI, PASTOR STACY CONFIDED IN: "Well, I try not to push people into an area that they're uncomfortable, and I gave her [Stacy] — I gave her an out. I said, If you'd like to share it with me, I'm here to hear it, I said, but there's no pressure. You don't have to feel like you have to share anything you're not comfortable with. So if you are — if you are comfortable, please share it. And we talked about various other things, and then she blurted out the reason." NEIL SCHORI: "I asked for more specific things. She gave me details that I really can't share. But I just got her talking about it and asked her what — this is a crazy amount of information. Again, I asked her, What exactly can I do with this? Why did you tell me? I asked her if she had ever told anyone else. She said at the time, she had never told another person."
. "'Just remember, if I disappear, it is not an accident. He killed me.' said [Sharon] Bychowski." 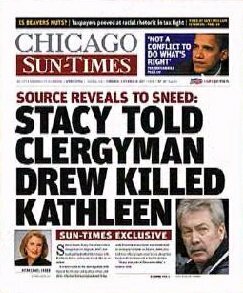 Drew Peterson claimed Stacy ran off with another man and "she's where she wants to be." of character assassination." . She's not heavy, He's my Brother ! MEREDITH: On October 28th the day Stacy disappeared, Tom showed up at your home, right? WALTER MARTINECK JR: "That's correct." MEREDITH: What time was that? MARTINECK: "Roughly around quarter to ten." MEREDITH: And when he came over to you, what did he say? MARTINECK: "His eyes were sunken in the back of his head. 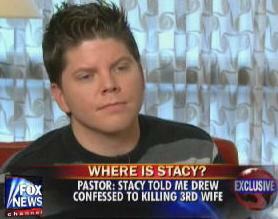 He took me by my shoulders, told me I can't say anything and he just told me that he thinks he disposed of Stacy's body." MEREDITH: Why did he think he had done that? MARTINECK: "Because when he helped Drew, that's what he told me, he had helped Drew take something out of the house, it was warm to the touch." MEREDITH: Did he tell you what he helped Drew do, what kind of object he took out of the house, where it was? MARTINECK: "It was a blue container, a sealed blue container." MEREDITH: What exactly did he say to you? MARTINECK: "Drews a very powerful person and he could do, he could do anything from what I was told and with him, with Tom out of the way, he doesn't have to worry about his family." MEREDITH: So you think if Tom thought if he took his own life his family would be safe. Was Tom worried that Drew would do him some sort of harm?